Ilhan Omar would rather cast antisemitic aspersions on pro-Israel Americans than hold Palestinian leaders accountable. 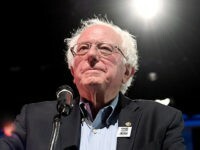 TEL AVIV — Throwing his hat into the presidential ring for 2020, Sen. Bernie Sanders’ troubling views on the Jewish state and his uninformed and false anti-Israel statements are sure to take center stage as the presidential race heats up. Some of the groups accusing Trump of antisemitism work to legitimize and advance the fortunes of antisemitic terrorists who murder Jews. 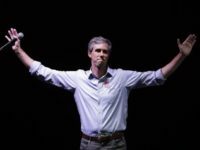 Texans reelected Sen. Ted Cruz (R-TX), handing a loss to Democrat Beto O’Rourke, but it wasn’t because the leftist candidate lacked funding. 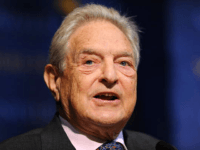 The media have decided that criticism of billionaire left-wing mega-donor George Soros is a form of antisemitism, ever since he was targeted by a mail bomb last week (which did not detonate, thankfully). 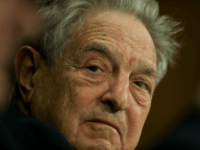 They have stepped up that claim in the wake of the Pittsburgh synagogue shooting, since the murderer posted anti-Soros comments on social media. 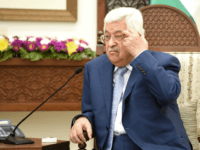 TEL AVIV – Palestinian Authority President Mahmoud Abbas thanked the leaders of J Street for their work lobbying the Trump administration against its recent decisions regarding the Palestinians during a meeting with the dovish policy group at his Ramallah headquarters. 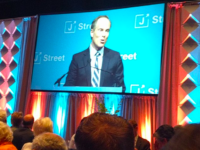 Jewish Democratic lawmakers in Congress may serve not as Israel’s defenders in their party, but as fig leaves that hide and whitewash the growing hostility of their party and its voters towards the Jewish state and its supporters in the United States. 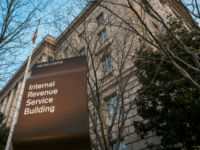 TEL AVIV – In another departure from past policy, U.S. 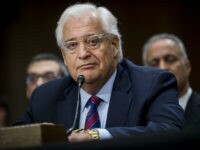 Ambassador to Israel David Friedman attended a business forum in an official capacity in the West Bank settlement town of Ariel, the first such visit from a U.S. government representative. 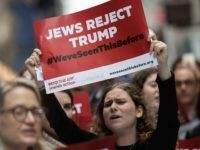 US Jews were split Friday night over the Trump administration’s decision to cut all funding to the UN’s Palestinian refugee agency hours earlier, with left-leaning Jewish organizations calling UNRWA “deeply flawed” but arguing that stripping it of aid would endanger Israel and destabilize the region. 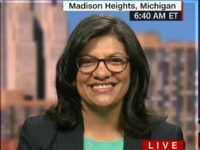 The George Soros-funded J Street, a leading critic of Israel, has reversed its endorsement of Rashida Tlaib, the Democratic Party candidate for Congress in Michigan who advocated slashing U.S. aid to Israel, called for a one-state solution and expressed support for the Boycott, Divestment and Sanctions (BDS) movement against Israel. 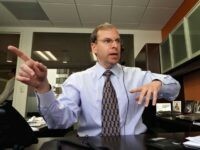 Jonathan Neumann’s new book, “To Heal the World? 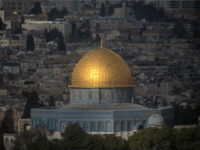 : How the Jewish Left Corrupts Judaism and Endangers Israel,” is an important examination of the distorted theology employed by the radical left to lead many Jews astray. In 2018, the fate of the House, and the country, could depend on Kimberlin Brown Pelzer in the 36th. And early numbers suggest she has a real shot to win. 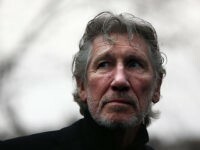 The student group J Street U is co-hosting a screening at Macalester College on Thursday evening of a film that has been criticized for demonizing Israel and whitewashing Palestinian terrorism, and features leading proponents of the boycott, divestment and sanctions (BDS) campaign. 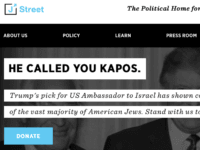 J Street, the far-left organization that opposes Israeli government policies and backs U.S. politicians who do the same, is fundraising off Steve Bannon’s speech to the Zionist Organization of America dinner on Sunday night. 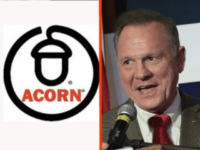 NEW YORK — The founder and chief organizer of the controversial former group known as ACORN, or the Association of Community Organizations for Reform Now, has come out in defense of Doug Jones, the Democratic candidate for December’s Senate special election in Alabama. 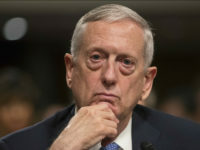 NEW YORK — Secretary of Defense James Mattis is confirmed to speak at the annual conference of a George Soros-financed think tank that is also funded by the controversial Ploughshares Fund, identified by the Obama White House as central to helping sell the Iran nuclear deal to the public and news media. NEW YORK — H.R. 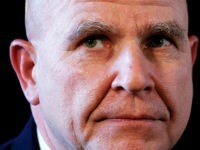 McMaster, President Donald Trump’s embattled national security adviser, hinted to a small group of Democratic senators that he opposes the drive to decertify the Iran nuclear deal, according to two sources familiar with the meeting who spoke to CNN. NEW YORK — A UK-based, George Soros-funded think tank where White House National Security Adviser H.R. 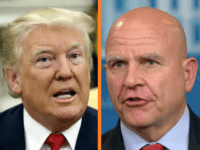 McMaster served for eleven years has claimed that President Donald Trump has “no substantive grounds” for declining to certify the U.S.-brokered international nuclear deal with Iran. 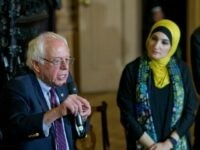 In a rare foreign policy interview, Sen. Bernie Sanders claimed the United States is “complicit” in so-called Israeli occupation” and should rethink its military aid to the Jewish state. 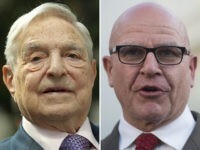 NEW YORK — A UK-based, George Soros-funded think tank where White House National Security Adviser H.R. 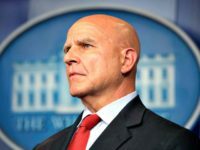 McMaster served for eleven years argued the Iran nuclear deal is “working” and that “policing Iran at gunpoint” – in other words, anytime, anywhere inspections of Iran’s nuclear sites – is a dangerous path. 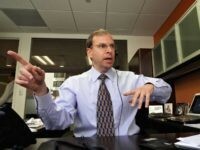 NEW YORK — Congressional and U.S. court moves currently put the Trump administration at the center of a debate about the Boeing firm’s multibillion dollar deals to sell airplanes to two Iranian companies partially owned by the Iranian government. The International Institute for Strategic Studies (IISS), where White House National Security Adviser H.R. McMaster is listed as being a member for eleven years, this week added George Soros’s Open Society Foundations and another Soros-financed group to the list of donors on its website in response to a Breitbart News request on the matter. TEL AVIV — White House National Security Adviser H.R. McMaster served at a UK-based think tank that is heavily bankrolled by multinational corporate firms doing billions of dollars in business in Iran. 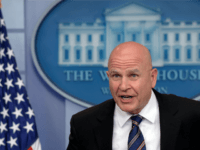 TEL AVIV — White House National Security Adviser H.R. McMaster served at a UK-based think tank financed by a controversial, George Soros-funded group identified by the Obama White House as central in helping to sell the Iran nuclear deal to the public and news media. TEL AVIV — The U.S. Senate on Monday unanimously approved a resolution that commemorates the 50th anniversary of the reunification of Jerusalem. A number of leading Jewish organizations came out against Secretary of State John Kerry’s Wednesday speech on the Israeli-Palestinian peace process, mere days after the Obama administration’s decision to break with longstanding tradition and abstain from voting on an anti-Israel resolution at the United Nations Security Council. Opposition from Jeremy Ben-Ami and J Street is the highest endorsement that David Friedman can receive as ambassador to Israel.